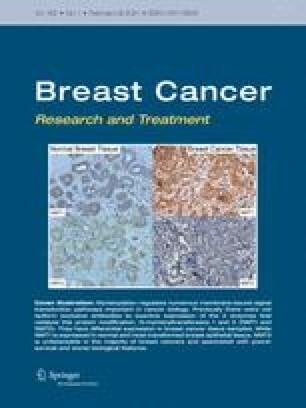 We studied the effect of diet and body weight on recurrence and death in 472 women diagnosed with early-stage breast cancer in 1982–1984. From Cox proportional hazards regression models we found that the strongest effects were observed in premenopausal women. For example, after accounting for disease stage and age, reported baseline consumption (times/day) of butter, margarine, and lard (risk ratio (RR)=1.67; 95% confidence interval (CI)=1.17–2.39) and beer (drinks/day) (RR=1.58; 95% CI=1.15–2.17) increased the risk of recurrence. There also appeared to be an increased risk associated with consumption of red meat, liver, and bacon, corresponding to about a doubling of risk for each time per day that foods in this category were consumed (RR=1.93; 95% CI=0.89–4.15). Relative body weight increased risk at the rate of 9% (RR=1.09; 95% CI=1.02–1.17) for each kg/m2 (equivalent to about 5.8 pounds for a woman 5′4″ tall). For death, the results were similar, but relative weight was more strongly associated, increasing risk by 12% per kg/m2 (RR=1.12; 95% CI=1.03–1.22).